2. 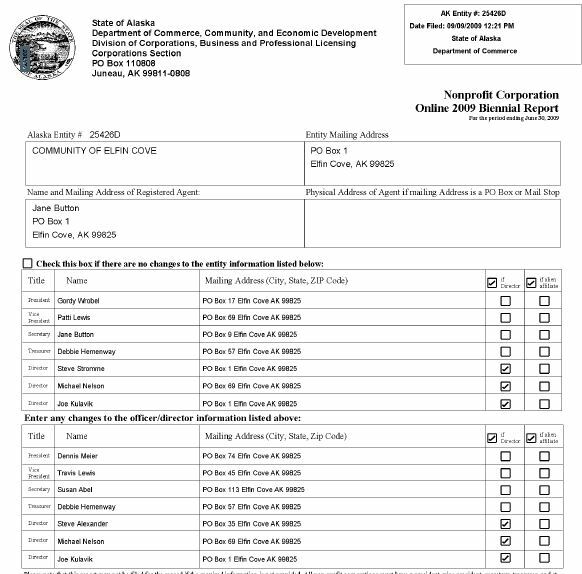 2000 Biennial Report- Eagle Charters. Uses P. O. Box 77, Elfin Cove, Alaska as address. 3. 2002 Biennial Report- Eagle Charters. Uses 7419 NE 14th St., Vancouver , Washington 98665 as address. 4. 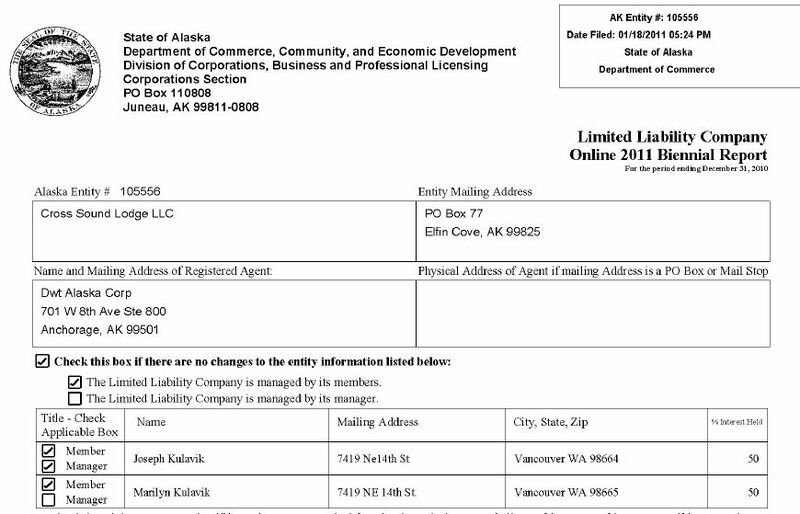 Kulavik uses 7419 NE 14th St., Vancouver, Washington, 98665 as his address on all his filings. 5. 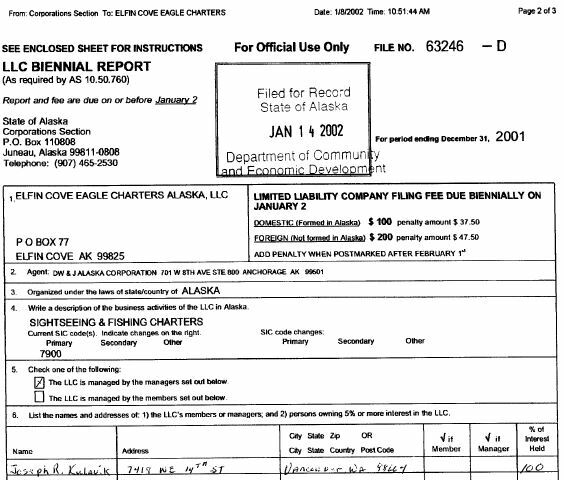 Except on his voter registration, Joe Kulavik became a registered voter in Alaska on 11/30/2007 using Eagle Charters' business address. 6. 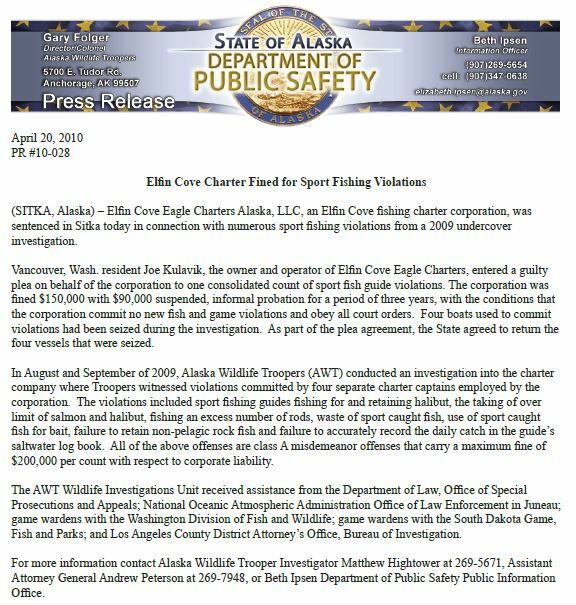 2009 Community of Elfin Cove Biennial Report. Kulavik is shown as a director on both lists but was actually a director from 2005 to 2012. 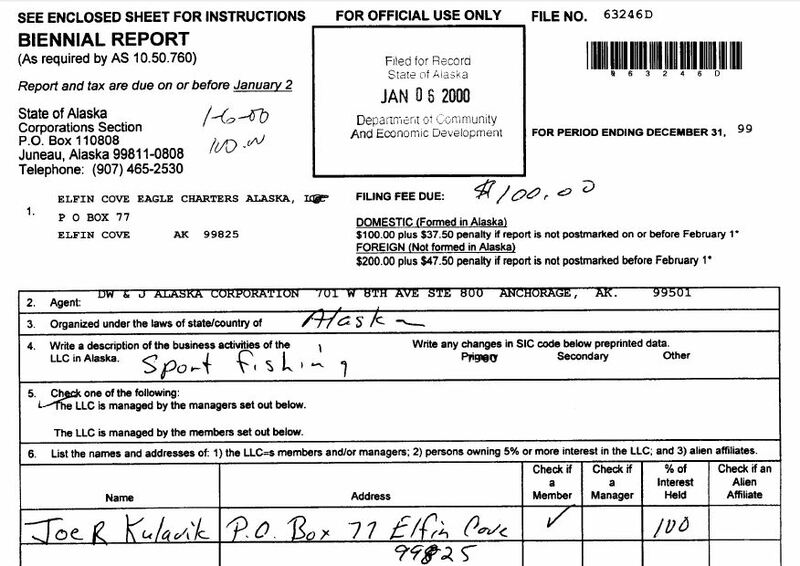 The address shown for Kulavik on the report is P.O. Box 1 or the Community of Elfin Cove's postal box.